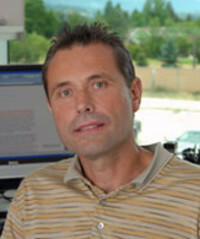 Dr. Heinz Feldmann is the Chief, Laboratory of Virology at the Rocky Mountain Laboratories (RML), DIR NIAID, NIH, and the Chief Scientist of the RML BSL4 Laboratories. He has more than 25 years of experience working in BSL-3 and BSL-4 laboratories in four different locations. As an adviser to the World Health Organization, Dr. Feldmann has been part of field research and outbreak management teams studying emerging viral infections in Africa and Asia. His professional interest is in the pathogenesis and transmission of high containment viruses causing hemorrhagic fever, encephalitis and acute respiratory illness, and the development of countermeasures against those viral pathogens.